The gorgeous Callao Cave is one of the main tourist attractions in Luzon: it has been visited by countless tourists over many decades. 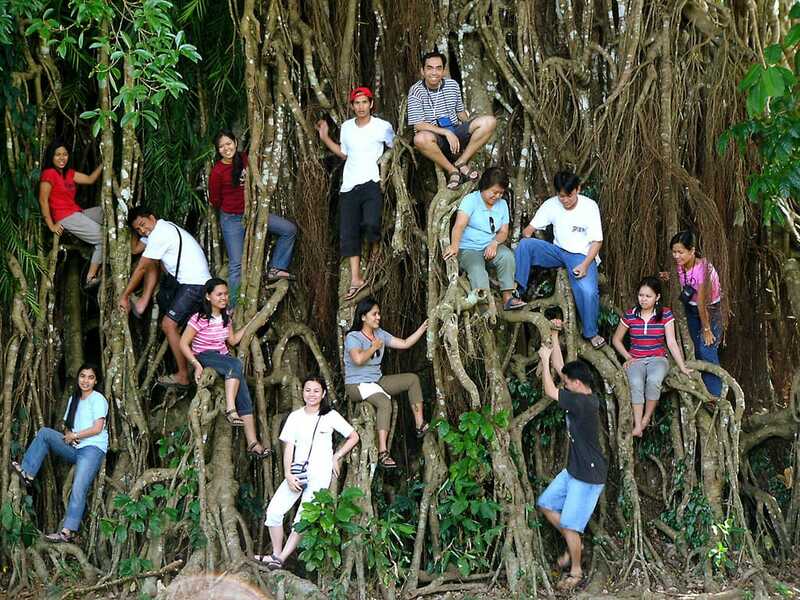 But it turns out that there were living a different kind of people here long, long ago: a group of mysterious, small humans of another species – Callao people (Homo luzonensis). Callao Cave was named after Kallaw bird – Philippine hornbill (Buceros hydrocorax), an exotic and increasingly rare bird which was common here in earlier times. 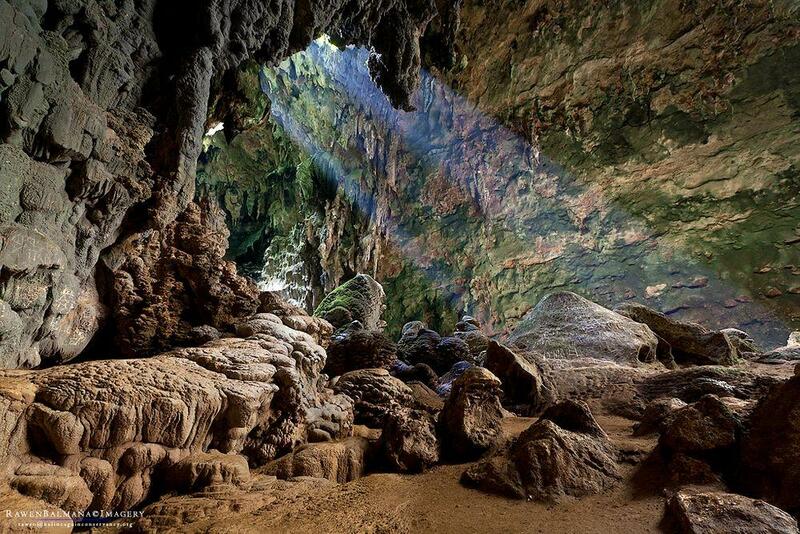 This enormous cave is located in a karst region where are found more than 300 other caves which have formed in the thick layer of the late Miocene – early Pliocene limestones. This cave is well known in the Philippines and this area is advertised as the “Caving Adventure Capital of the Philippines”. Already in 1935 here was created a national park. At first, it encompassed the area around the cave but then it was gradually extended and now this natural protected area (Peñablanca Protected Landscape and Seascape) stretches up to the sea. 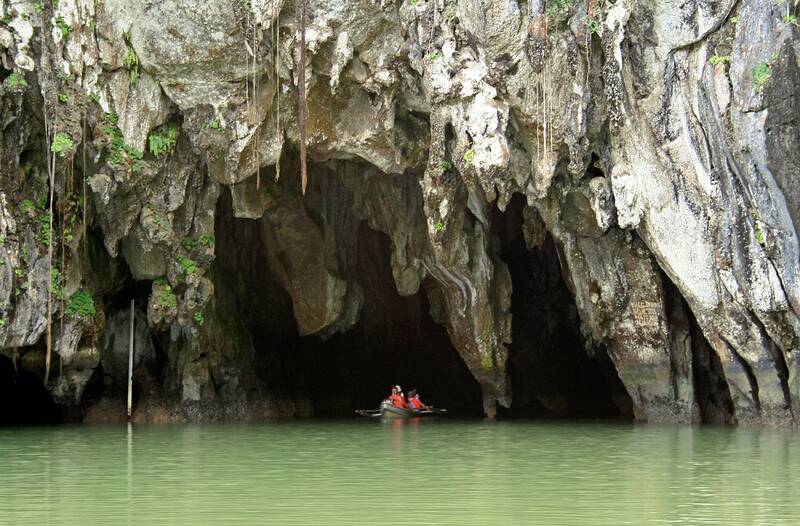 Visitors approach the cave with a boat, driving through an impressive canyon of Pinacanauan River (recently here has been built a road as well). As they leave the boat, visitors ascend concrete stairs with 184 (or 187… count differs) steps and then enter the underground. 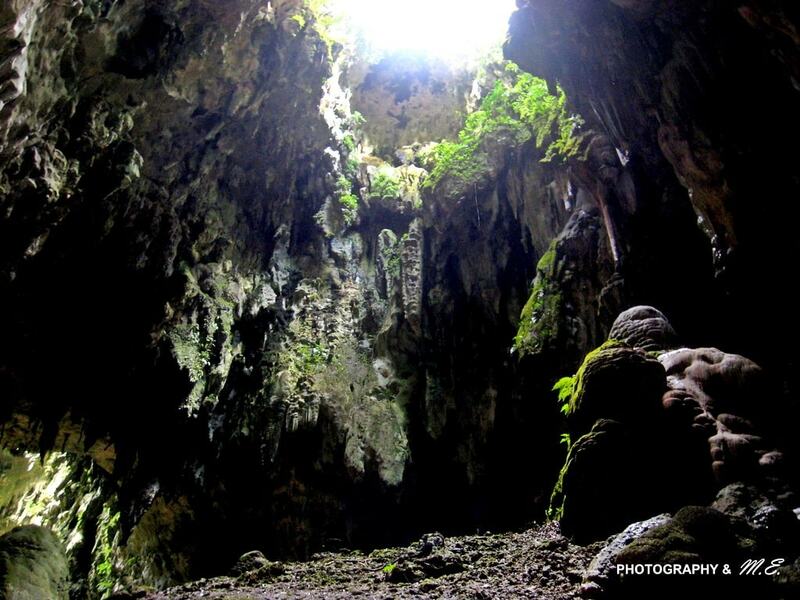 Tourists can visit the entrance part of the 9-kilometer long Callao Cave system – the first seven cave rooms. The main “tourist trap” is the second room (Divine Room) which has been transformed into a church with benches and altar. This cave room (as well as several others) has a natural opening in the ceiling and Sun shines in the room. Other cave rooms are interesting as well – there is Cream Room with a natural formation which looks like an ice-cream with three scoops, there is Sun Room where the Sun shines in the early morning through an opening, there is Jungle Area with animal-like cave formations and others. The cave is adorned with countless stalactites, stalagmites, flowstones, cave curtains, etc. But the main secret of the cave is hidden in the very first cave room, called also Aviary Room due to the openings in the ceiling which are used by birds who live here. This cave room is some 50 m wide and up to 36 m high. There is a thick layer of sediments in the first chamber. And archaeologists and biologists know: such sediments at the entrance of large caves hide many interesting secrets. Archaeological excavations started here in 1979 – 1980. In 2003 at the entrance of Callao Cave were ongoing excavations: researchers from the University of Philippines were looking for the traces of early, Neolithic agriculture in this part of the world. One of the researchers was a doctorate student Armand Salvador Mijares. They dug up to the depth of 1.3 m and made a breakthrough discovery (for its time) of human activities 25 – 26 thousand years ago. Soon after the world learned about the discovery of a dwarf human species – Homo floresiensis in Flores Island, Indonesia. The geographical situation in Luzon island is somewhat similar – and Armand Mijares was inspired to return to Callao Cave and look deeper in the sediments. In 2007 Armand Salvador Mijares and Florent Détroit (French National Museum of Natural History) continued the archaeological excavations in the cave (Mijares organized exploration of the cave upon each possibility). Initially, there was nothing interesting in the sediments below the layers left by Neolithic people – just a few bones of deer and other animals. But: be careful! One of the researchers – Philip Piper (University of Philippines) sieved through the excavated soil (they reached a depth of 2.7 m) and found a weird bone which seemed to belong to a human… a weird human. This was a metatarsal – foot bone which belonged to an unusually small human. But that was just one bone. In 2011 researchers had more luck: they found human teeth, a piece of a femur (thigh bone), bones from hands. In 2015 there were found two more teeth which were at least 50 thousand years old. These were by far the oldest human remains in this part of the world. Thus until 2019, there were found seven teeth and six smaller bones and fragments of bones, all belonging to three people – two adults and one child. This is a bit scarce – but these bones without a doubt hinted at a distinctive, different species of humans. For example, some front teeth of Callao Man have three roots. We (Homo sapiens) have just one. Or, the bone of a finger digit is a bit crooked – it seems, adjusted for climbing in trees. Our fingers are straight. There are too few bones to judge how large was Callao Man but this definitely was a small human, maybe just 1.2 m tall. On April 10, 2019, Armand Mijares published an article in the journal “Nature” and declared this as a new human species – Homo luzonensis. Maybe too early – some more discoveries of bones were needed? But at the same time – how long should one wait if everything seems to point to a simple fact – there existed another kind of people here? The bones belonged to people who lived here some 67 – 50 thousand years ago. Luzon has been isolated from the rest of the world by the sea. Thus – there are the earliest human remains found on an island which was isolated by the sea. This is one more mystery – how did these early humans make over the sea? There is one more exciting mystery. Thus far we assumed that all species of comparatively recent humans (Neanderthals, Denisovan people, us) originated from Homo erectus who left Africa some 1.8 million years ago. But Homo luzonensis and, it seems, also Homo floresiensis seem to have more ancient roots – they are more similar to Australopithecus. Thus: is it possible that there was one more, an earlier wave of human migration from Africa before Homo erectus? In 2018 in another cave in this area were found stone tools and remnants of butchered rhinos (Rhinoceros philippinensis) which are up to 709 000 years old. This adds one more exciting thesis: what if early humans came here already 0.7 million years ago and since then lived here, gradually becoming smaller (island dwarfism)? In this area up to this day live Aeta people who are unusually small. Medium height of Aeta men is 151 cm, women – 142 cm. Aeta seems to be the oldest, first people of the Philippines – they came here before the Austronesian migrations. There live some 20 – 30 thousands of Aeta nowadays, many of them still are nomadic and live in remote areas of Luzon. Some could be tempted to see in these people descendants of the mysterious Callao Man, but most likely there is no link between them. This situation is similar to the situation in Flores Island. There also are living people of small stature as well but these people are not related to Homo floresiensis. Nic Fleming, Unknown human relative discovered in Philippine cave, Nature.com, April 10, 2019. Last accessed on 13 April 2019. Armand Salvador B. Mijares, The Archaeology of Peñablanca Cave Sites, Northern Luzon, Philippines, Journal of Austronesian Studies 1(2) December 2005. Last accessed on 13 April 2019. Carl Zimmer, An Ancient Human Species Is Discovered in a Philippine Cave, The New York Times, April 10, 2019. Last accessed on 12 April 2019. T. Ingicco, G. D. van den Bergh, C. Jago-on, J.-J. Bahain, M. G. Chacón, N. Amano, H. Forestier, C. King, K. Manalo, S. Nomade, A. Pereira, M. C. Reyes, A.-M. Sémah, Q. Shao, P. Voinchet, C. Falguères, P. C. H. Albers, M. Lising, G. Lyras, D. Yurnaldi, P. Rochette, A. Bautista & J. de Vos. 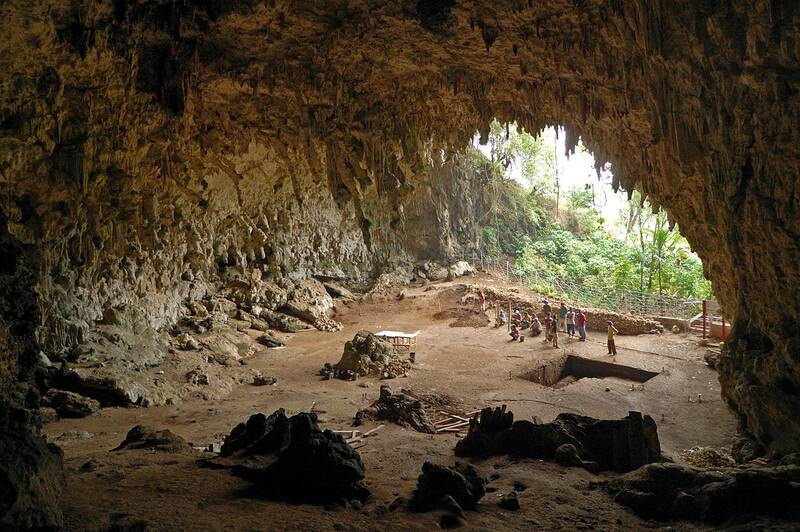 Earliest known hominin activity in the Philippines by 709 thousand years ago. Nature volume 557, pages233–237 (2018). Last accessed on 13 April 2019. 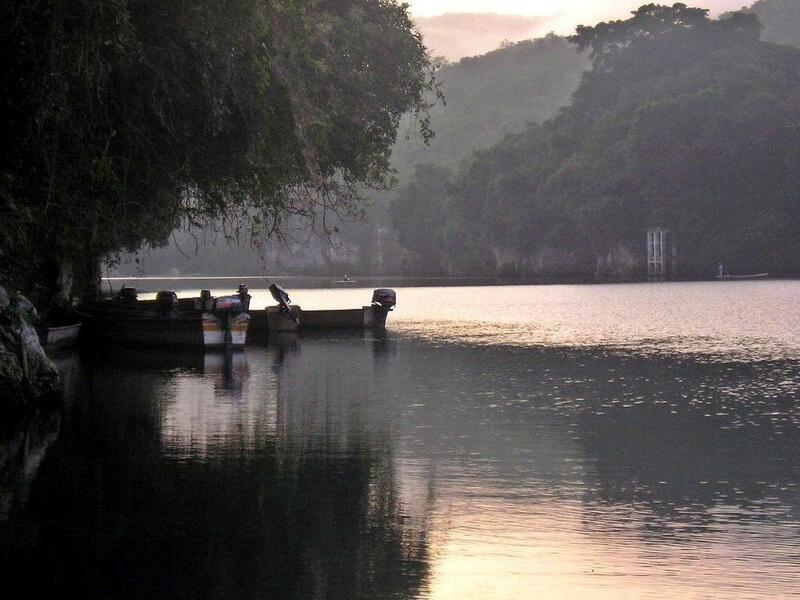 The charming Philippines in many respects represent the true Southern tropical paradise. This archipelago consists of thousands of diverse islands and the wealth and diversity of the countless landmarks here is hard to grasp. 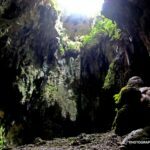 The highlights of Philippines are caves and other karst features, unique ecosystems and local architecture. In this category have been included most important and unusual places where have been found remains and other traces of activities by early humans (several species of them!) and other hominins. Every year there are reported exciting discoveries of new caves and discoveries of new qualities such as cave paintings in the ones known before. But there still is a feeling that our knowledge covers just a small part of all these monuments of nature. Though, those which are known to us offer a surprising diversity of unusual features and impressive sights. In Unlocking the Past, Martin Jones, a leading expert at the forefront of bioarchaeology — the discipline that gave Michael Crichton the premise for Jurassic Park—explains how this pioneering science is rewriting human history and unlocking stories of the past that could never have been told before. For the first time, the building blocks of ancient life—DNA, proteins, and fats that have long been trapped in fossils and earth and rock—have become widely accessible to science.